Like most moms, I survived the new baby/full-time work phase with lots of caffeine. Coffee is my beverage of choice for “energy”. 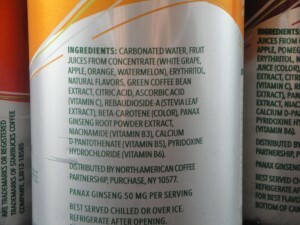 Energy drinks are popular and most flavor chemists have made flavors and energy blends for these beverages. In early 2000, I copied Red Bull (TM) flavor for a successful bar drink. My flavor memory of Red Bull (TM) was cherry cough syrup. It is shocking to find out that Red Bull and Vodka is served at bars (combination of upper and downer drugs), but maybe not so different than the Cola mixed drinks I had become accustomed to. Through my career, I’ve created other flavors for energy drinks: passionfruit, orange, and melon; then I moved on to confection flavors. 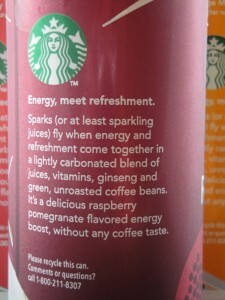 On a recent trip to Target, I saw the Starbucks Refreshers Energy beverages and decided to give them a try. I am not certain what exactly green coffee extract is and how much caffeine it has, but when I googled it I found out it is tied to weight loss, energy, high in antioxidants. 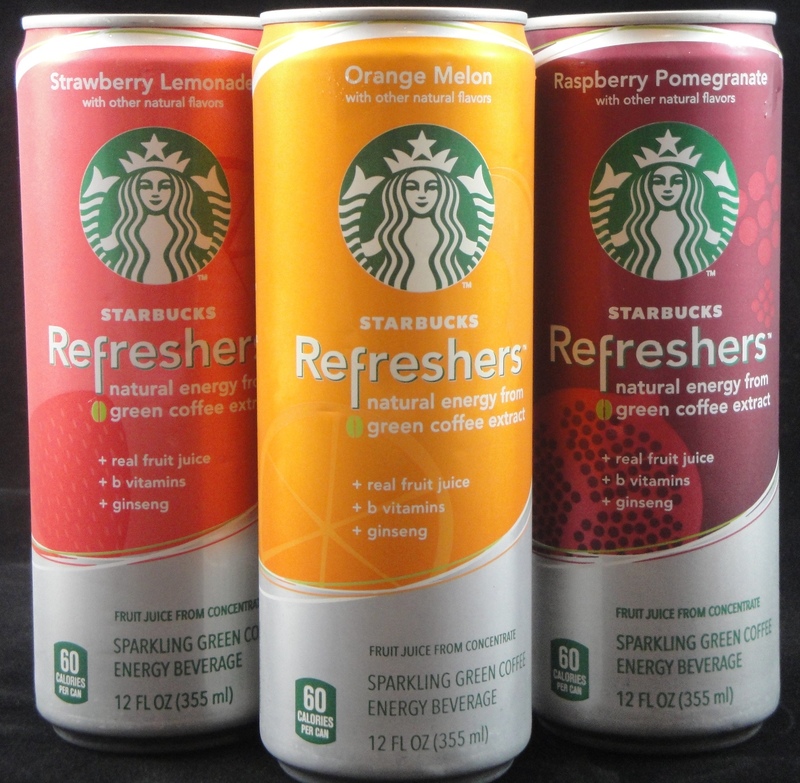 Starbucks Refreshers are loaded with natural ingredients: flavors, juices, Stevia extract, green coffee extract, ginseng,erythritol, and vegetable juice concentrates for color. There is the slightest aftertaste in all the beverages, but not much for a stevia sweetened energy drink. As mentioned in earlier posts, I don’t always like the aftertaste of stevia extract, but the Refreshers beverage did a great job blending the flavor, erythritol and stevia to drop aftertaste. 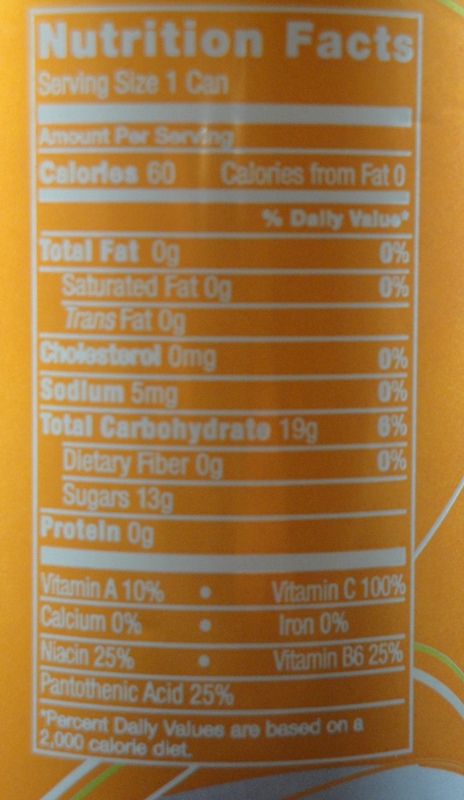 I feel it is the B vitamins that have a slight aftertaste in the Refreshers beverage. 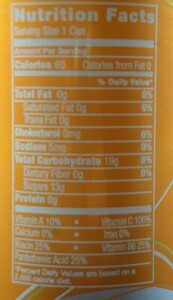 Overall, the effect of the beverages on my energy level is uplifting and “refreshing”. I do not feel jittery and anxious, like I would if I drank an extra cup of coffee. 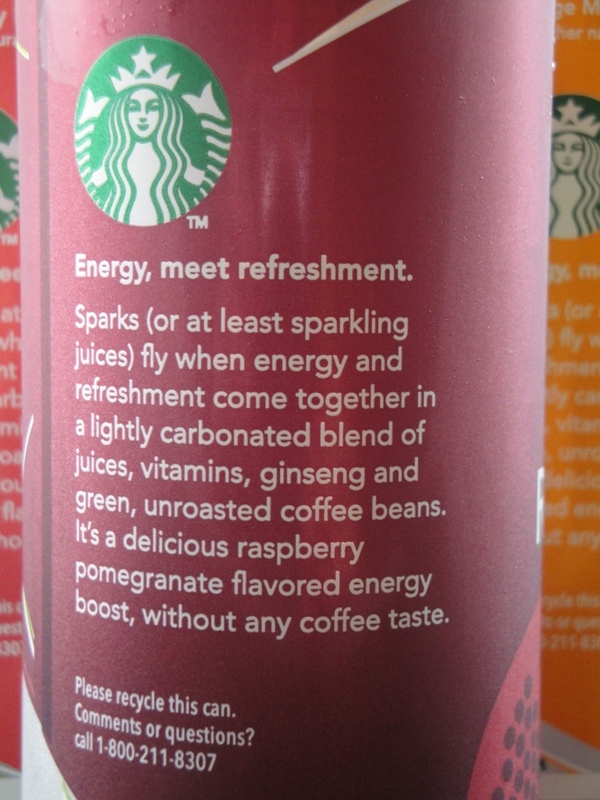 The flavors, colors and slight fizziness of all the Starbucks Refreshers beverages are impressive. The strawberry flavor in the Strawberry Lemondae is extremely authentic (fresh & juicy), the Orange Melon is lightly orange with a cantaloupe follow through and the Raspberry Pomegranate has a seedy, ripe raspberry flavor. Personally, I’d love to mix these beverages with a touch of vodka. They would be very enjoyable as a mixed drink on a warm summer day or night. as well check things out. I like what I see so now i’m following you. Look forward to looking into your web page for a second time. edjunkie–true about the caffeine levels, but combined with the B vitamins and ginseng, I can assure you that it does, in fact, give quiet a better boost of energy than Diet Coke ever could. I used to be a big diet soda fan for the pep, but didn’t like what it did to my stomach (blech). 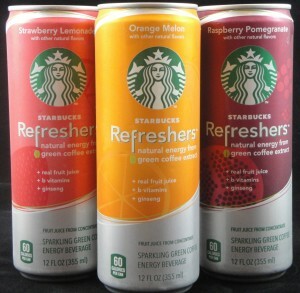 I tried Refreshers and haven’t looked back. They give me hours of sustained pep, with no funky side effects. Love them!